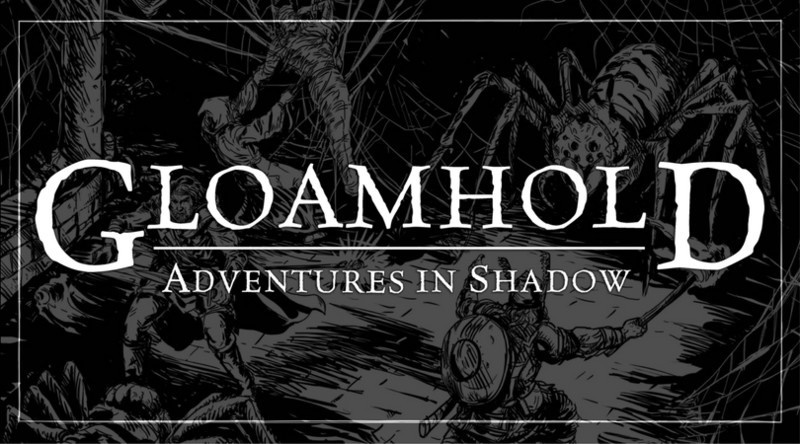 Last Wednesday, we met for the first session of our sporadic new campaign—Gloamhold: Adventures in Shadow. Gloamhold: Adventures in Shadow is different from every other campaign I’ve run over the last 20 years or so. Unlike my recent gaming—which has been almost exclusively D&D 3.5 and Pathfinder—we’ll be using the 2nd edition AD&D rules forGloamhold: Adventures in Shadow. Most of the group are of a “certain (middle) age” and most of us played 2nd edition AD&D throughout our school years. Personally, I have a lot of fond memories of the system. With our Skulls & Shackles campaign on a slight break as the GM does jury service it seemed like the perfect time to hurl ourselves down memory lane. All we planned to do in our first session was character generation and a couple of sample fights. Character generation took a surprising turn: the players wanted to use Method I—3d6 in order. To say I was surprised was an understatement given how when we play Pathfinder it always seems to be about making the toughest character possible. Eventually we settled on a slightly modified Method II—3d6 twice for each stat, pick the best and swap one pair (if desired)—to give the characters some semblance of longevity, and—hopefully a balanced party. Of course, the first of the chaps to roll got an 18 with his first roll! The party had their fighter. In any event, I don’t yet have a full party breakdown—we had a slight shortage of Player’s Handbooks so the chaps will be tweaking their characters before next session, but when I do I’ll post up a party roster. Character generation took a surprisingly long time and we only managed to get one sample fight done. The PCs fought—and defeated—a generic band of orcs. It was immediately apparent how different the game was going to be. I particularly enjoyed the Reaction and Morale rules as well as the way initiative is handled—they made the ensuing battle feel completely different to a “normal” Pathfinder fight. Using morale was particularly refreshing and—I think—will make our combats feel much more “realistic”. I’d love to come up with some decent morale rules for Pathfinder. We had a quick discussion about the campaign’s trajectory and as a first foray, it was decided the party would explore the tumbled, shadow-shrouded ruins of the village of Greystone. The idea of the campaign is to give us something to play until our current GM finishes jury service. The great thing, though, about a megadungeon campaign—which is essentially what this will be—is that it can be episodic. So, if in the future Andy can’t run a session, we can still play—the players will just delve into a different bit of Gloamhold! During character generation and the ensuing battle one thing struck me: there were no iPads at the table. Normally, many of us run our characters from an iPad. Except for a couple of phones, the table was device free. I didn’t notice this immediately, but when I did I realised the atmosphere was completely different. iPads and suchlike are a great tool for gaming, but their distractions are sometimes too enticing. I’ve seen players checking football results, swiping right on Tinder, checking email (I myself am occasionally guilty of this last one) and so on during games. Their inevitable distraction—and resultant confusion when it came time to act—slowed the game down. I’m hoping with a lack of tablets we’ll all pay just a bit more attention to the actual game! Play proper begins later today! I’m looking forward to updating you on our (temporary) return to 2nd edition AD&D. Hey, nice to see someone who remembers the 2nd Edition fondly. 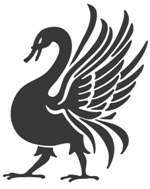 I’ve recently started a new game and we’re using the Myth and Magic rules which is essentially a 2nd Edition retro clone. It cleans up some of the oddities of the game and modernizes some of the rules (like Thac0) but really does capture the feel of 2nd Edition. In fact, I use the 2nd Edition Monstrous Manual with only the most minor of modification (the aforementioned Thac0). You should check out the game. It’s become my go to favorite. I’m really interested to see what happens. Your campaign summaries are always a good read. For myself, I am currently playing in a 2ED game and I DM an Al-Qadim 2ED game that is currently on hiatus. 2ED is what we played in college, and I’ve never really quit; there have been breaks, but we keep coming back to it. Would this campaign be something you’d publish? I’m looking forward to reading more campaign summaries as well. So many fond memories of 2nd ed. There’s a clone on Drivethrurpg- called For Gold & Glory, never checked it out but a buddy uses it. I’m not looking to publish this formally as it’s just something I’m running at home. I might re-release Greystone, though, as I’ve enjoyed creating more information about the various locales–write up of their first explorations coming tomorrow (hopefully) and I’ve definitely got more details to add about the village and its monstrous denizens. I’d also like to do more maps of some of the locations. I found your materials, a good deal of it ‘free’, about a year ago. Gathered up some of it and started putting it together – you likely wouldn’t recognize the result. We had a regular GM, no hurry. And we are playing GURPS, so … everything needs modification. Then our GM gave notice he would be taking several game days off. Needed an episodic gaming world. Got out the latest books and created a “home town”. Placed random sites within a day’s journey outside of town, and away we went. A semi-artificial constraint: one of the PCs had a regular ‘day job’ he was loath to leave so adventures had to fit in between “noon” Friday and Sunday “night”. Everything went well enough until they got caught below ground and were running from ‘something’. The Dwarves ‘expert’ couldn’t keep up. The fastest reached to top and turned just in time to hear the Dwarf scream. And scream. He was being attacked (!?!) but not injured (?!?). They went back … only to find some pale-skinned, Dwarf-sized females (most of them) stripping the Dwarf’s clothes off. There was a short attempt at ‘battle’, which ended once it was obvious that they didn’t want to ‘fight’. The players were unhappy they didn’t get to kill something. Or that the Dwarf was, in essence, ‘used’ in an “un-natural way”. The ancient one-time city was located under the forge in Dreamden. There was a lot of editing between your source work and my result. Many thanks for the trove of ideas you have made available.